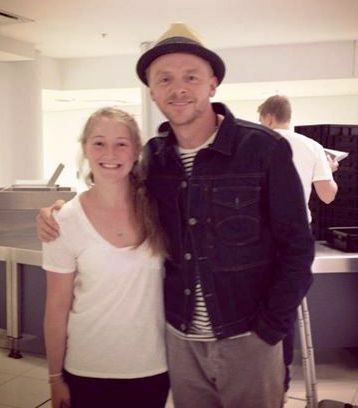 Flo and I travelled together via Hong Kong and Sydney on the same flight as the actor Simon Pegg who was also en-route to New Zealand where he is promoting his new film. He was going to Wellington, and we were going on to Queenstown so I just managed to get a photo with him at Sydney security before we caught our separate flights - he was a really nice, chatty person. Flo and I will be sharing a room with Margaret and Ramona. They're nice girls so I'm sure we will all get on fine. Looking forward to getting on with it and getting back into the Kiwi way of life!